It was revealed on Monday that Groupe Yvon Michel (GYM) and undefeated Artur Beterbiev, the IBF world light heavyweight champion, have reached an agreement confirming the end of their promotional contract. The agreement puts an end to all of legal proceedings between GYM and Beterbiev. 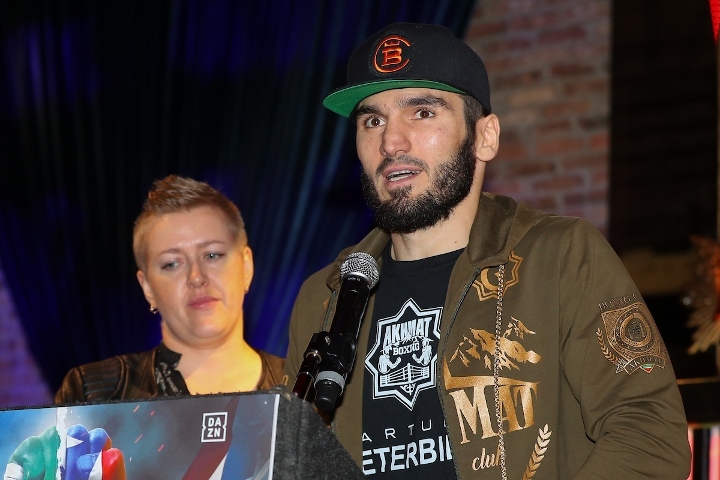 Since 2017, GYM and Beterbiev have been engaged in a legal battle over the boxer's promotional contract. Beterbiev had claimed that his contract with GYM owner Yvon Michel had expired. And the promoter disagreed. As they fought it out in court, Michel gained the upper hand when a court decision ruled in his favor in 2018, but Beterbiev appealed that ruling. GYM and Beterbiev have advised reporters that they will make no other comments regarding the agreement or the terms of their resolution. "In recent months it has become clear to us and Artur that a negotiated solution in good faith would be preferable to the consequences of a prolonged judicial debate. We are proud of the work we have done with Artur during our association and we wish him the best success in the pursuit of his career," said Yvon Michel. "I am relieved and happy to now be able to focus 100% on my training and my performances in the ring," said Beterbiev. "I want to thank Yvon and all members of the GYM team for their efforts and support in developing my career since arriving in Canada in 2013". Beterbiev had entered into a co-promotional agreement with Eddie Hearn of Matchroom and streaming service DAZN. But then he broke after from that pact after one fight and is now aligned with Top Rank and ESPN. And Beterbiev will fight on the network on May 4th, when he faces Radivoje Kalajdzic. He needs to file a lawsuit against ESPN/Top Rank for having his next fight going up against Canelo-Jacobs. Great move by beterbiev to go with bob arum he has the lightweight division on full lockdown. Beterbiev is an infidel islamist chock. He can't be trusted, ever. No one should deal with such a crap like him. "Hot Rod" is back? That's wassup!